Tori Wrånes, one of Norway’s leading artists, has created a visual concert with an ensemble of musicians. Wrånes works primarily with the voice and sculptural installation: combining the two in her dynamic live performances. From a forty person strong multi-levelled musical performance in an LA parking space that included bodybuilders, cyclists and accordion players on trolleys (SPIN ECHO, Art in the Parking Space, LAX Art, 2012) to staging a surreal concert in the trees with Wrånes hanging from her hair, her site- specific performances challenge audience and singer alike. 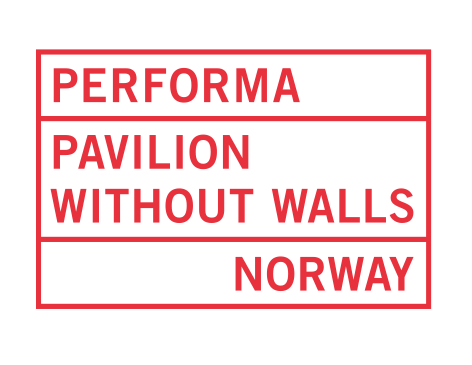 For Performa 13 Wrånes will produce a new composition and site-specific work for New York City. Wrånes is investigating different ways to exist, allowing them to unfold. Her use of costumes, props, architecture and sculptures deforms her appearance and creates new constellations. Yes Nix is a Performa Commission curated by Mark Beasley. Co-produced with nyMusikk as part of the Norwegian Pavilion Without Walls. Vitale transforms her studio in Long Island City into a mythical saloon-weather station-brothel, populated by a cast of tap-dancing astrologers, rattlesnake-bitten cowboys and dart throwing Indians.